Forks, knives, spoons and coffee-spoons perform as well as traditional plastic ones, but they have eco-sustainability on their side. 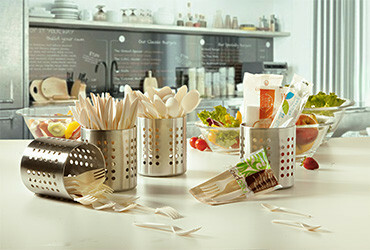 Actually, Mater-Bi® cutlery is strong and extremely handy, biodegradable and compostable, according to EN 13432 standards. It can come into contact with hot food up to 70°C for two hours and up to 85°C for 15 minutes. 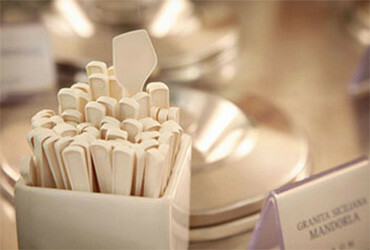 Mater-Bi® ice cream spoons are strong and functional, biodegradable and compostable according to EN 13432.